For many marketeers, the main focus is finding and obtaining new customers. But it’s important to remember that nurturing your current customer relationships and retaining them is just as important. The secret to retaining loyal customers comes down to one thing: satisfaction. How satisfied are customers with the experience they have of using your business? Whether you want to figure out how customers feel about their purchasing experience or you want to find ways to improve it to boost retention levels, print is a fantastic (and affordable) option. Here are our top 5 ways of using print for customer retention. First things first, you need to gauge your current customers’ satisfaction. Although getting a great long survey printed out to hand out to customers after they’ve shopped with you isn’t ideal – and certainly won’t be effective – print can be used to strongly direct customers to your website or a review website to leave some feedback. 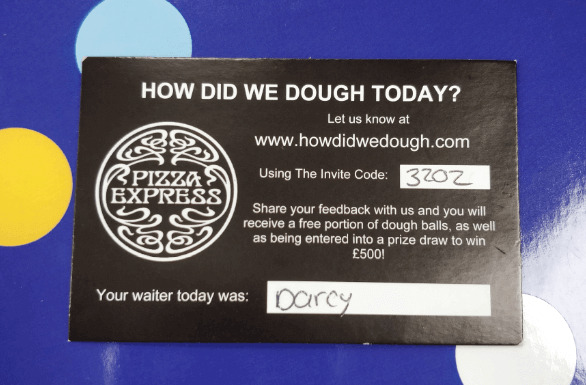 This business card has all the important elements to guide customers to the feedback website – including an incentive of free dough balls and entry into to prize draw for £500. Although you don’t have to offer as extravagantly as that, offering any kind of incentive can improve response rates for customer surveys. With 92% of us in the UK using our loyalty schemes at least once a month, you’re missing a trick if you haven’t already joined this trend. Loyalty cards are by far the most cost-effective way of starting your own rewards program. These work by rewarding customer loyalty with gifts or free services after a certain amount of time or number of purchases. Getting your own loyalty cards printed is extremely cheap, especially if you buy in bulk. 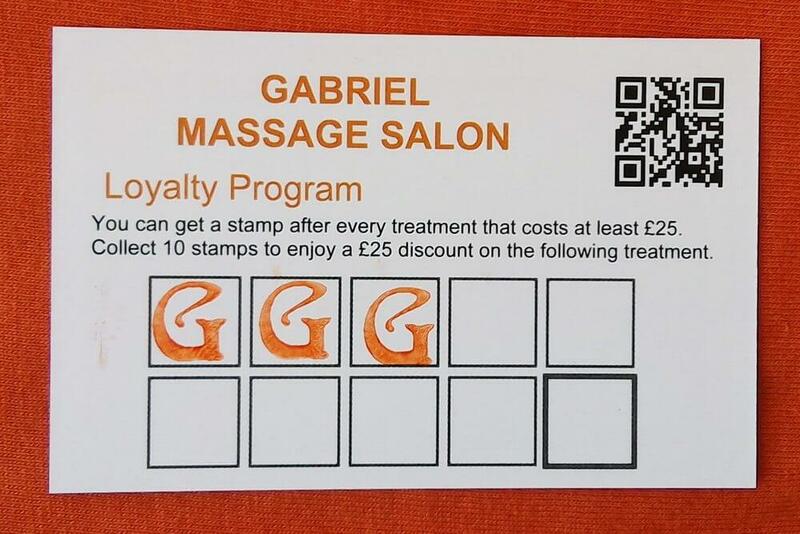 For example, the following loyalty card offers a £25 discount on a massage after 10 massage treatments. This is a great way of making sure customers return to redeem their reward. If you’re still stuck on how to design your loyalty cards, here’s some inspiration! Customers know when your employees are happy in their jobs, and this will partly be down to whether they feel part of the team and how appreciated they feel. In fact, one study found that happy employees are 20% more productive, and that this can increase sales by 37%! Luckily, print can help to improve both of these things, which will also improve the customer experience. 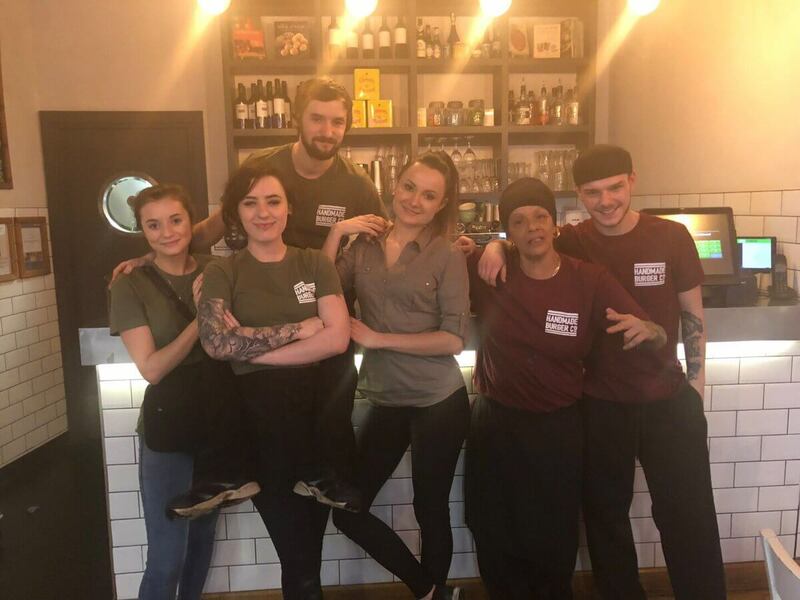 As well as uniting your workforce, a branded uniform comprising of t-shirts also makes employees more recognisable. According to ASA, 97% of consumers believe uniforms make employees easier to recognise, 70% think they make employees look more professional, and 60% think they make employees look better trained. Overall, there are plenty of ways a new printed tee uniform can improve the customer journey and encourage them to shop with you again and again. There’s nothing worse than customer service that leaves a bad taste in your mouth. If you can do the opposite – and create something positive – with something as simple as print, then you’re sure to see the results you want. Giveaways are the perfect way of promoting your business and leaving customers feeling excited and positive about your brand. This means they’re more likely to stick by you – especially if you host competitions and giveaways all the time, because it’s likely they’ll be able to enter for a chance to win again in the future. So, what should the prize be in your giveaway? We’d recommend killing two birds with one stone and nailing brand awareness too by giving away some kind of promotional merchandise with your logo on. Great examples include mugs and tote bags – the kinds of things people will actually use and may even use in public. This gets your brand in front of even more eyes! One brand that does this particularly well is Waterstones. 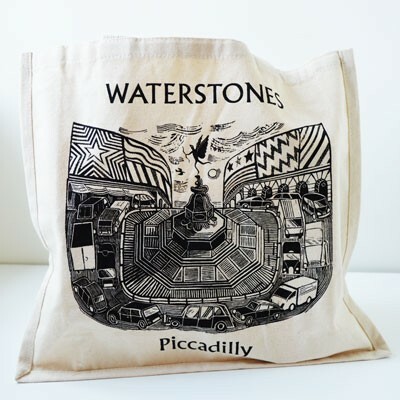 And what makes it better is that it’s perfect for carrying the product they sell – books! To make a giveaway extra appealing, give away one of your products inside the tote bag if you can. A great way of fostering relationships, especially for B2B companies, is through inviting them to company events and functions – like social outings, meetings and picnics. Or, for B2C businesses, host some instore events such as VIP sales to make customers feel really special. To pull this off, make sure you have awesome printed invites to mail to top customers. Remember to leave a bit of space on your invitation design to handwrite a personal message. 44% of consumers say that will likely become a repeat buyer after a personalised experience, so it’s always good to include this in any kind of marketing campaign where possible. Our Damask range of free templates would be perfect for a beautician, salon or retailer looking to invite customers or clients along for a taster session, tutorial or secret sales event. Or, view our entire range of free invite design templates to find one that’s perfect for your business. We hope these five different ways of using print for customer retention help give your business the boost it deserves. 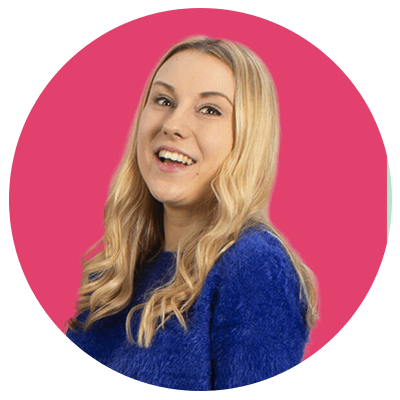 For even more of the latest business tips and advice, keep an eye on our Think Big blog: the hub for small businesses and startups. Or, for help setting artwork up for print, we’re always happy to help. Get in touch with our team of print experts now.